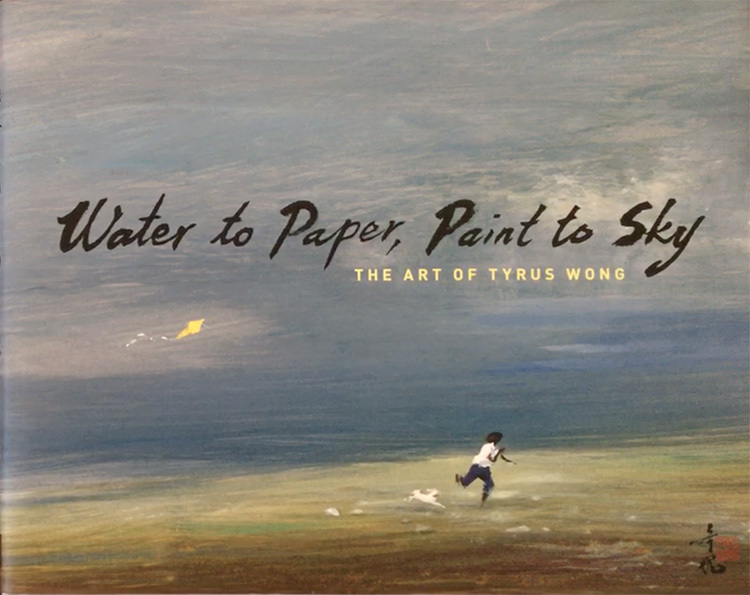 This book is about the Chinese artist Tyrus Wong. I only knew his work he did for Bambi, but he did so many other things. This book was published in conjunction with the retrospective exhibition at the Walt Disney Family Museum in San Fransisco in 2013 and 2014. The book is by Michael Labrie, the Museum’s director of collection. Later the exhibition moved to New York and I really wanted to go, but was not able. The book was only available at the Walt Disney Family Museum and did not ship to me country. So I was very happy that it finally was available on Amazon. What I really love about these kind of books is that you get the know the man behind his work. Tyrus Wong was born in 1910 in China and immigrated to the USA when he was 9 years old leaving his mother and sister never to see them again. He traveled to the States together with his father. They first lived in Sacramento and later moved on to Pasadena near Los Angeles. His father soon discovered his talent, but they had no money for art materials. He studied calligraphy by painting with water on a newspaper. The characters would dry and the paper could be used over and over again. Later he studies at the Otis Art Institute in Los Angeles. 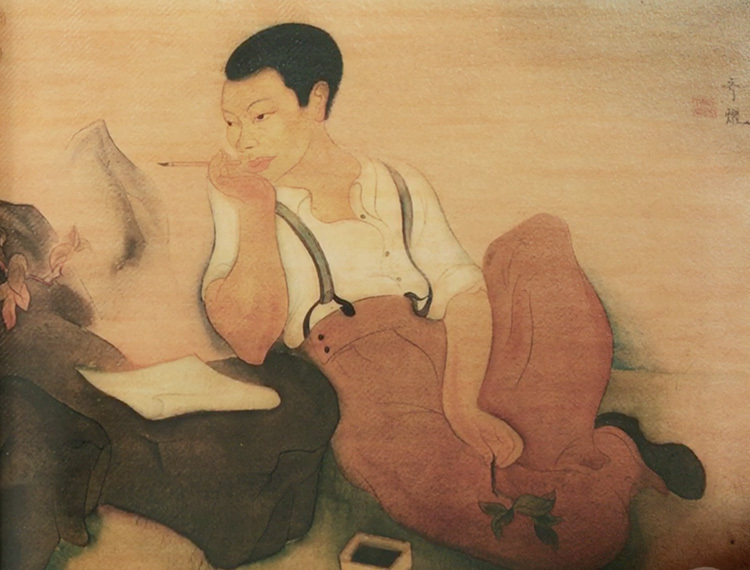 Here he learned to paint in a Western style while combining it with his Chinese style of painting. He had several exhibitions. Before he started working at the Disney studios he had to struggle to make a living as an artist. It was still depression and people could not afford to buy art. Tyrus made a lot of murals and more commercial things like menus for a restaurant called the Dragon’s Den. In 1938 Tyrus took a job at the Walt Disney Studios as an inbetweener. A position every new artist would start out as. At that moment the studio was working on Bambi and they had a lot of problems with finding a right style for the movie. At night Tyrus made several sketches en preliminary artwork for the look of the film. When Walt Disney saw his work he was astonished. His simple style was just what was needed for the look of the movie. Tyrus made a lot of watercolour studies and pastel drawings. They are more impressionistic but yet gave a very naturalistic look to the movie. When I first saw his work in other books I was immediately hooked. Now with this book you get a better understanding on how he developed as an artist. His work still has the intricate Chinese brush stroked combined with the Western style he learned at the Art Institute. In 1941 Tyrus was laid of at the Disney Studios after a strike at the studios. So he had to find new ways to make a living. So he made art for exhibitions, designed cards and made illustrations for magazines. He also painted silk scarves and ceramics. In 1942 he landed a job at Warner Brothers as a preproduction designer. He worked on Musicals and westerns and even did some work for the James Dean movie Rebels without a Cause. He worked there until 1968. Tyrus Wong is still a great inspiration to a lot of artists. 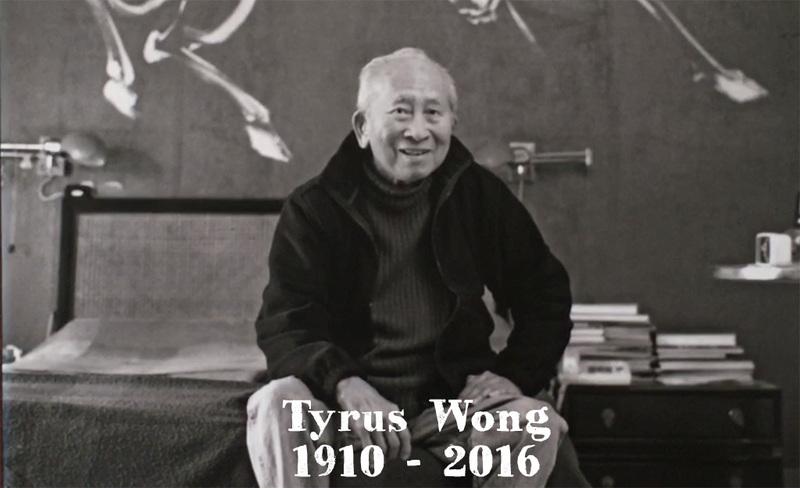 Tyrus Wong died on December 30, 2016 at the respectable age of 106. He left a great mark with his art and thanks to this book he will not be forgotten.